A social regret some people have is that they missed out on the "college experience". For many it was because they were too shy and socially inexperienced to get up to much while they were at university. Others look back on how they were too focused on studying, or lived at home with their over-protective parents and were discouraged from having a life on campus. A few never went to college at all, and wonder if it was the right decision. Once you've graduated and are in the work world all the fun stops. Everyone gets serious and hunkers down, and it's nothing but drudgery from there on out. Yeah, the average twenty-nine-year-old has more responsibilities and is less likely to go out on any given night than a college student, but it's not a case of everyone going from 100 to 0. There's still plenty of fun to be had post-college if you go looking for it. Similarly, while it is harder to meet people after university, it's not like it becomes impossible. It's true that short of enrolling for another degree you can't get a literal college experience after you graduate. You won't be able to live in a dorm, or join a fraternity or sorority. However, you can do things that are close enough in spirit, which should clear away that sense of having missed out on that phase of your life. Some people who regret wasting their undergrad years are so haunted by it because they believe everyone needs to have the college experience to be a happy, socially functional adult. That's not true. For one, although more people attend university than in previous generations, many still don't go, or they get training at an institution that doesn't involve living on a campus for four years. Second, plenty of people go to university, but don't live the stereotypical college life, because things like partying or staying in a dorm never interested them. They're not all in dreary, socially-stunted ruts because of it. It's totally valid if you're a bit bummed out because you never got to make a bunch of friends or party while you were in school, and would like to do some of those things now. But don't feel you have to do them, or even that something's wrong with you if you have no urge to do them. When some people imagine trying to make up for lost time after college they assume they have to turn it into a full-time project. If the reason you didn't socialize much in college to begin with is because you were really focused on getting good grades, you probably also don't like the idea of putting your fledgling career on hold to try to party more. You don't have to throw your life completely out of balance. You can go to your job like anyone else, and do college stuff an evening or two a week (no, you won't get to have that particular student experience of going out and drinking so much the rest of your life implodes, but that's hardly a loss). You may even only have a handful college-ish experiences and decide, "Okay, that's enough. It's not all it's cracked up to be. It's out of my system." Even if you do want to devote more time to catching up, it's highly unlikely to derail your future. Another misleading idea in society is that once you're done university you should jump right into the work world, because if you take any time off you'll fall hopelessly behind and become tainted in the eyes of every employer. Tons of people have started their careers later in life or took some time off in the middle of them. 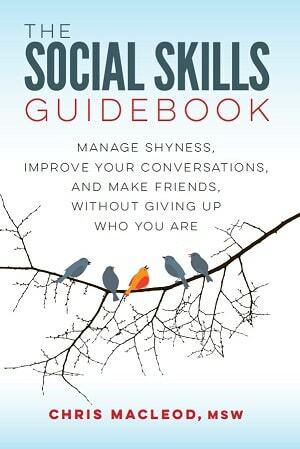 You may need to spend some time building up more core social skills, like learning to manage your shyness or make friends, before you can start pursuing your college experience agenga in earnest. In the long run it may be a wise investment to focus on your interpersonal skills like that for a while. Even if you just want to party a lot for a year or two, that's fine, again as long as you don't go too nuts with it. "I never got a chance to go out much, because I was too shy and clueless in undergrad. I want to do some partying now." "I kept to myself and never met very many people when I was in college. I never got to make new friends and have those all-night conversations about philosophy. I'd like to do that now." "I lived at home during university. I'd like to have the experience of sharing an apartment with a bunch of roommates." Pretty much everyone can do some partying or meet some new people. These motivations can go wrong if you have less-realistic expectations. It's one thing to party or meet people at the level of a typical college student. It's another to want the lifestyle of the most popular guy from the biggest fraternity at a Top 10 party school, who's a character in a movie. Most university students can't live that kind of fantasy life, let alone someone who graduated a while ago. If you feel you need that kind of experience you're probably overestimating what it would take to feel happy and caught up. You may also have some self-esteem issues where you believe you can't be worthwhile as a person unless you're super-popular. "I was awkward and never felt that accepted in college. 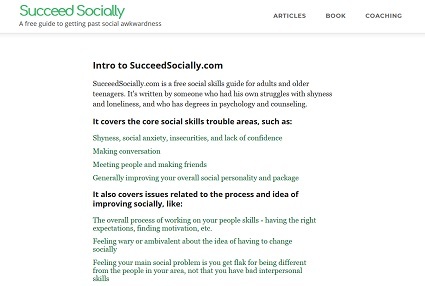 I want to become more sociable and likable now." "I wasn't accepted in college. Frat guys were. The media makes them out to be the most important people on campus. I have to party with frat guys and become exactly the type of person they'd want to hang out with." "I wasn't accepted in university. It's not enough to become more likable in general. I need a bunch of college kids to like me before I feel complete. If I meet a student and they approve of me, that's great. If some 25-year-old likes me, it doesn't count." Both of these are giving one kind of person too much power to determine your self-worth. Frat bros, or college students as a whole, are just people, with a mix of strengths and flaws like anyone else. There's nothing magical about them, where what they think of you makes or breaks your value as an human. Whether you can do some of these will depend on how old you are, but if you're in your early-twenties to early-thirties, which seems to be the age range of most people with 'missing out on college' regrets, you should be okay. I'll get this one out of the way because it doesn't fit with the other points. Some people are so consumed with remorse over how college went the first time around that they're thinking about enrolling again. They may want to get another undergrad degree or go to grad school. Other people missed out in the sense that they never went at all, and are thinking "better late than never". Obviously I don't think it's a good idea to sign up for an undergraduate program only so you can access the social aspects of college. There are other ways to meet people or go to parties, ones that don't require you to pay thousands of dollars and do coursework. I also don't think it's wise to go to grad school when you wouldn't otherwise have a reason to. Being a grad student will put you back on a campus, but it's usually a pretty different life than an undergrad's. The programs are usually much smaller, and a lot of your time will be taken up by things like lab work or being a teaching assistant. You're often more like a quasi-faculty member than a student. Some graduate programs are bigger and more like undergrad, but you should still only look into them if it would be good for your career anyway. What about if you didn't go to college during the usual 18-22-ish age range, but are thinking of getting a degree? By all means, go for it. You'll have a real chance to get that college experience you didn't get to have earlier in life. One worry of people in your situation is, "But what if everyone thinks I'm too old?" If you're still in your twenties you'll fit in just fine. A few people may be surprised at your age, but most won't care. There isn't a huge, huge difference between, say, a 20-year-old and a 25-year-old. Whether you click with someone on a personality level is going to matter more than your ages. More than anything, you're all going through the same experience together, so you'll tend to see each other as peers. If you're past your twenties your social opportunities won't be quite the same, but there should still be enough older students you could meet. You can simply meet lots of people. They're on vacation so most people are in the mood to be social and have fun. There's a sense that it's not the real world, so everyone may as well let loose and enjoy they time they have there. Hostels are a lot like bigger dorms. There are several people to a room. There are shared kitchens and bathrooms. You never know who you'll meet if you hang around the communal areas. Partying-focused hostels or shared apartments have a rowdy dorm or fraternity/sorority house vibe. In the evenings there are always some people who are up to have some drinks or go out to a cheap bar, if that's what you're looking for. You're in a new city and have to be independent and figure out how to get by on your own. Some people like to do this kind of traveling for a year or more, but even staying somewhere for a month may give you enough concentrated experience to make you feel like you've gotten the whole college thing out of the way. For many people the college experience equates to drinking at house parties or out at bars. As I said, plenty of people still like doing that kind of thing after they've graduated. If you can make friends with people who like going out, you can join in. For the most part there's no trick to finding people who like to party. They're found in most social niches. Just meet people as you normally would, then try to get a sense of what they like to do for fun. If they go bar hopping with their buddies every weekend, try to hang out with them more. If they don't drink much, and aren't into the bar scene, there's nothing wrong with that, and you still may want to befriend them for other reasons, but you'll know you'll have to keep looking for a group to party with. The most obvious are bars and clubs. If you already have some friends, you can go to a bar with them, then try to meet new people who also like to go out. If you're short on friends you could go out alone, then try to strike up some conversations (I realize that option can be uncomfortable, but it's something you can get used to, especially if you go to venues you'd enjoy anyway). If you need to meet people from scratch you also try going to meet ups that are centered around going out drinking and dancing, as opposed to being based around hobbies. At house parties you can meet people who are into partying, and ones who want to be more low key then go home early. It's usually pretty easy to tell the two apart based on how hard they're hitting the booze. It's fun when you get invited to other people's parties, but you can also throw your own. Certain jobs are known for having staff who like to go out a lot, the main example being people who work in restaurants and bars. It may not be practical for you to get a part-time job as a busboy or hostess just to up your chances of meeting friends to party with, but if you were looking for work anyway, this may tip you toward that industry over another one. If you're into sports you may want to try joining a rec league that's as much about having beers after the game as actually playing. Even into your thirties and older you can find people who are into partying. Focus on bars and clubs that cater to people your age. If you're thinking, "But older people who go out are lame. There's no point if I can't hang out with the student crowd" then you're glorifying younger people. Not every older person who goes to bars is sad and washed up, just as not every college kid is inherently amazing. There are good and bad people to meet at every age. This one ticks the boxes for Getting to live with a bunch of people and maybe Getting to live away from home for the first time. If you get roommates who are into partying you'll also have a built-in group of people to hang out with every weekend. You could meet people through them too. If you're already set up with your own house or apartment this isn't something you can do, but if you were already looking for a place you could lean toward living with a bunch of people in a big house vs. living alone or with one other person. This one works best when you're only a few years out of college. For example, you could get a part-time job at a place where a lot of the staff are students. If you hit it off with some of them they may invite you to their college parties or to drink with them at the cheap student bar. You could also get students as roommates, and get back into the college experience that way. You may be worried that it's lame or pathetic to try to glom onto students and relive your college days. I don't think there's a problem as long as you're not too old, you don't act like a creep, and you don't have the mentality of "the only way to get a college experience is to hang out with undergrads". As I wrote in an earlier point, there really isn't that much difference between a 20-year-old who's still in university and a 23-year-old who graduated two years ago. It's not as if graduating turns you into an alien species. For a minority of people the college experience they missed out on is mainly about moving away from home and being on their own for the first time. If you're still living with your family, would like to have some independence, and have the means to get your own place, then why not do it? Even if money is tight or you don't get to live in as nice a spot, having your own apartment can be a great way to grow as a person.